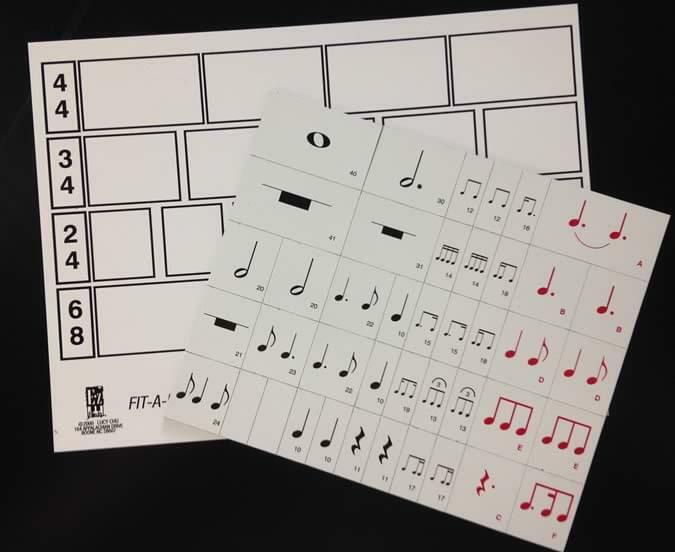 This accessory to the E-Z Notes Magnetic Boards (sold separately) is a hands-on approach to help students visualize the abstract concept of rhythm. A 9'' x 12'' insert fits into the E-Z Notes Magnetic Boards and provides four different time signature rows, including 4/4, 3/4, 2/4, and 6/8. The magnetic tile sizes are proportionate to the rhythmic value. Beginners can learn simple rhythmic patterns and advanced students can explore more intricate patterns. The kit includes 40 magnetic tiles printed with different rhythms that align with the blank time signature measures and 2 blank tiles to make your own rhythms. The booklet that is included with the E-Z Notes Magnetic Boards (sold separately) provides some instruction and examples for suggested rhythm patterns and more.